As a public speaker, author and member of the team that produces California Diving News every month, I truly appreciate Twain’s point. It’s far more challenging to deliver a complete message in limited time or space than it is to make the same points without being constrained by time or pesky word counts. With Twain’s message in mind, I’d like to tell you what we are all about at California Diving News. 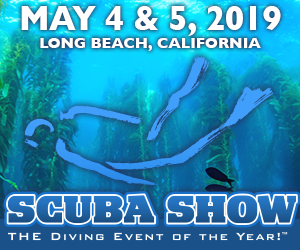 When it comes to dive sites, upcoming events and other information that relates to California diving, getting it all said in an entertaining, yet informative, manner in limited space is what we aim to do every month. 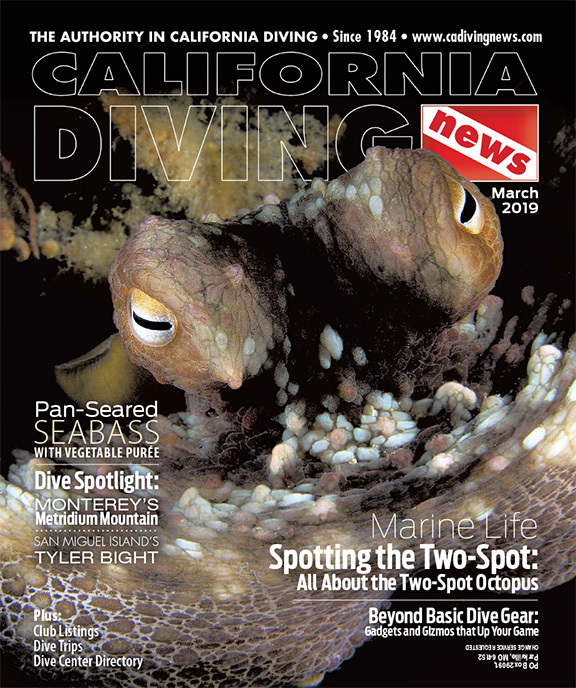 In every issue you can learn about how, when and why to explore at least two dive sites, one in Southern California and one in Central or Northern California. And every once in a while we cover destinations beyond California’s borders that are popular with traveling divers. Every month you will also find one of Bonnie Cardone’s columns focusing on the natural history of some marine organisms that occur in local waters, a Scuba Chef column by chef Trevor Cook that includes a recipe for a scrumptious seafood dish, and a monthly feature that focuses on topics that range from careers in diving to underwater photography and videography. But wait, there’s more! 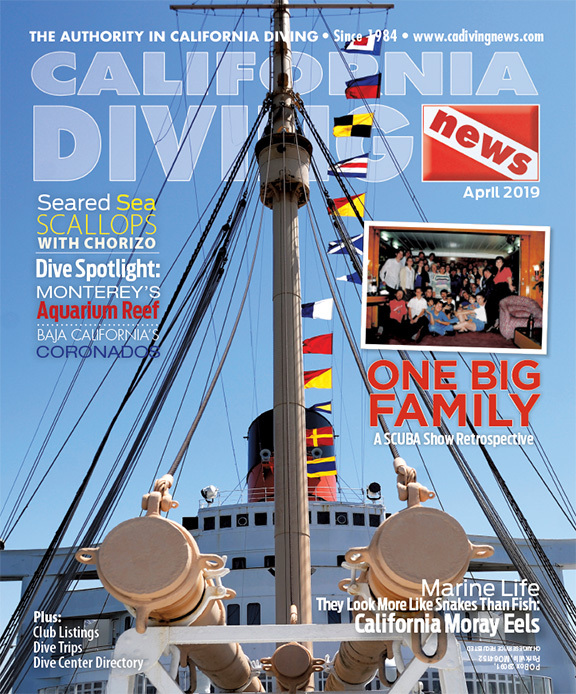 In every issue we also include a section filled with California diving news, a section listing and describing upcoming events, and schedules for various charter boats that take us to our favorite offshore dive sites. All of the previously listed information is sandwiched between reader letters and a reader-provided, captioned photograph or two featured on our “Best Shot” page at the end of each issue. 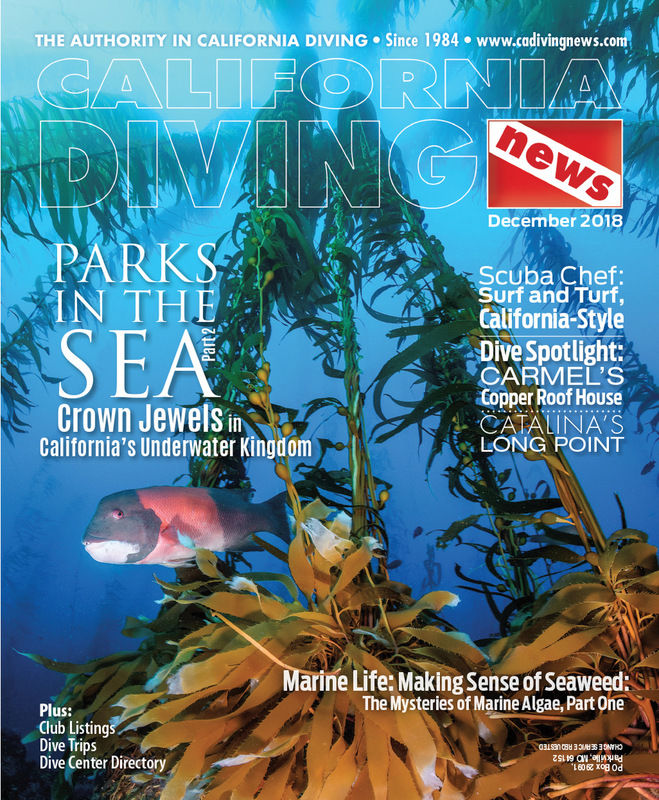 I’ll close by saying thank you for giving me the opportunity to introduce California Diving News to you. We wouldn’t exist without you, and we are well aware of that. Our job is to serve, educate and entertain. Please drop us a line at mail@californiadivingnews.com to let us know how we are doing and what we might do to serve you better.